I think I've discovered a new obsession when it comes to places. 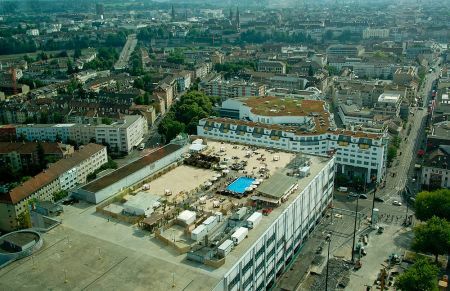 I've always loved beautiful, water-y places, but now I have added amazing rooftops to my list. They're kinda adventurous and beautiful at the same time! A POOL in Denmark! 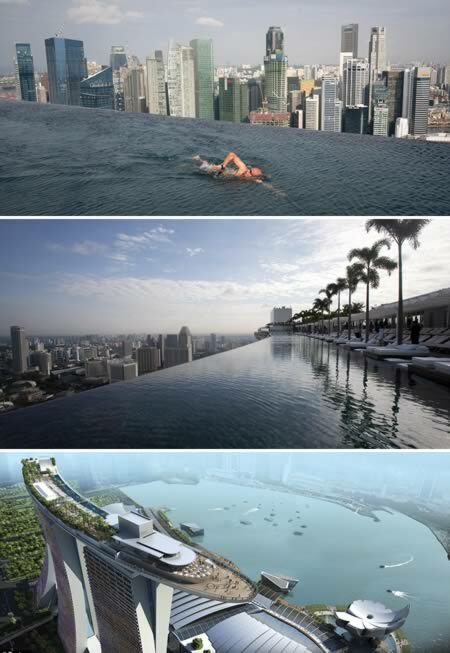 An infinity pool, 3 times the size of an Olympic pool, 650 ft. above the ground. Insane. Trailer Park in South Africa. 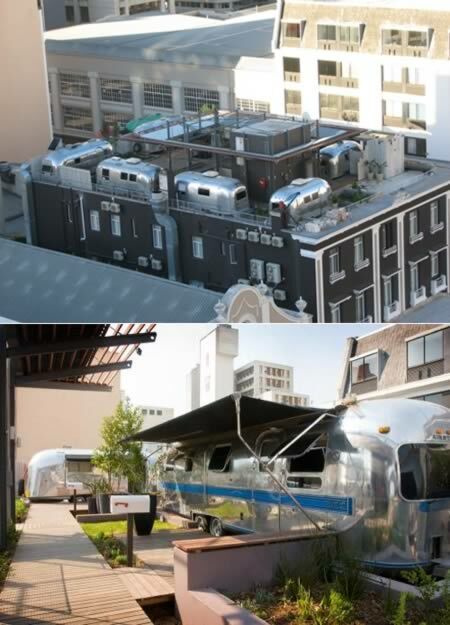 It's basically the penthouse suites of the Grand Daddy Hotel, but rooms are only $90 a night! Um, count me in! 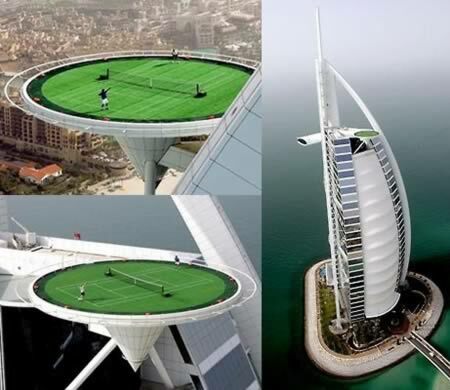 Tennis Court in Dubai. Look. at. that. view. 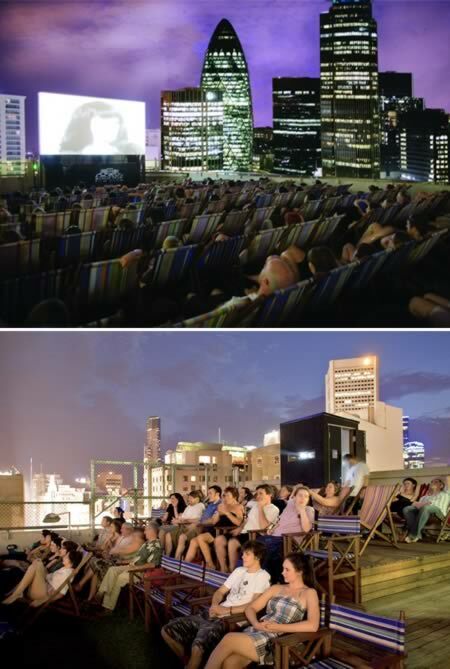 Movie Theater in Australia. I'd have a hard time watching a movie when that view is surrounding me, but who cares. I'd watch a few movies. 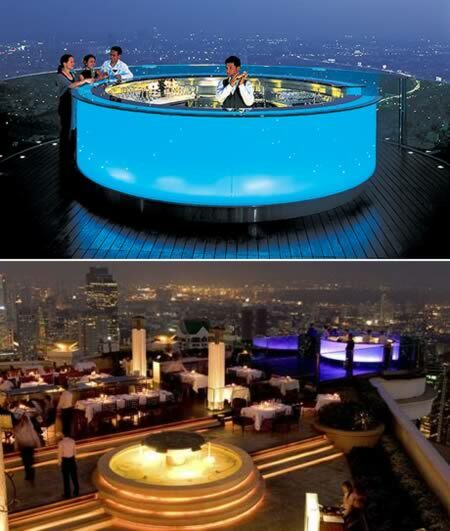 The SkyBar in Thailand. There are tons of rooftop bars, but this one looks beautiful. It's on the 63rd floor and I want to play. Ferris wheel in Japan. Not okay for people afraid of heights, but I think it's a fabulous idea! Plus- ferris wheel romance that high?! Heck yes! BEACH in Switzerland! It's like my favorite things combined! It's on top of a parking garage, but has a pool, sand, lounge, the whole 9 yards! All of these places have officially been added to the bucket list. In love. Really amazing and wonderful sharing I am impressed! After reading your blog I have decided to visit the Trailer Park in South Africa in coming vacations after my nyc niagara tours with my family. 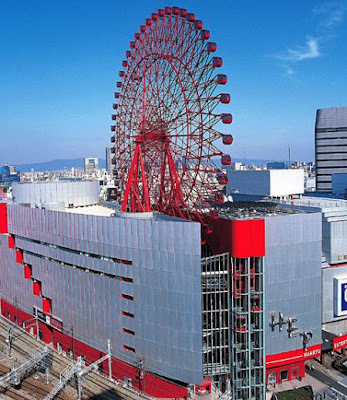 I think this is a nice place for a family trip.